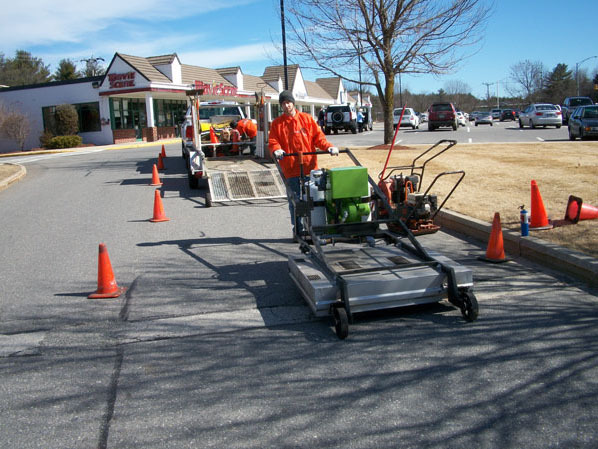 D&M Striping "We Walk the Straight and Narrow"
D & M Striping has been a leader in parking lot striping and maintenance on the East Coast since 1978. 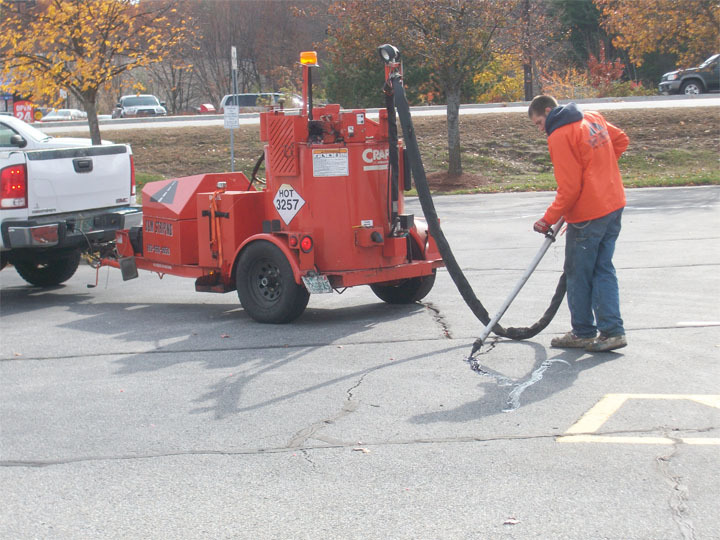 With over 30 years of experience, D & M Line Striping has the tools and expertise to get your parking lot looking perfect in no time. Servicing the areas of ME, NH, VT, MA, CT, RI, NY and FL. 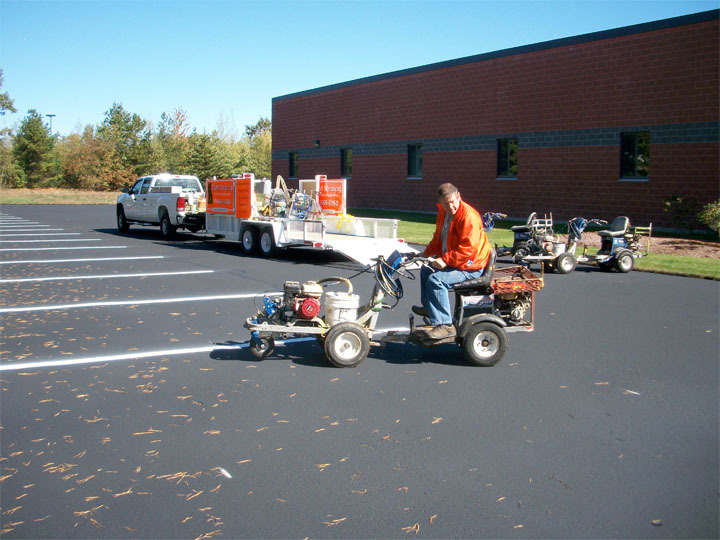 We offer a variety of services including parking lot repainting and layouts, crack repairs, seal coating, pothole filling and infrared paving, pavement marking removal and sidewalk pressure washing. At D & M, we use state-of-the-art equipment to ensure the best quality finish for your parking lot pavement project. We’ve worked with clients from all over the country, and built a reputation of delivering precise striping and pavement repair services at an unbeatable price. Visit our Service Areas & Current Clients page to see a list of companies we’ve done business with in the past.